BeZ featured on Essence.com's "New and Next" Column. ESSENCE.com's "New and Next" column spotlights the brightest new talents they think you should know. This week they met Nigerian soul singer, Bez, whose video "That Stupid Song" was the first by an African artist to premiere on BET. Who is Bez? Born into a musical family in Nigeria, Bez is a singer/songwriter currently at the helm of an emerging alternative soul movement in Africa. Armed with his guitar and playful vintage-sounding vocals, the 29-year-old manages to keep one foot firmly planted in his Nigerian roots and the other in American soul music. His feel-good single, "That Stupid Song" debuted on BET’s 106 and Park earlier this year, making it the first video by an African artist to ever premiere on the network. He also recently inked a publishing and music deal with Universal. Who he sounds like: John Legend, if he were Nigerian. We kid. But Bez does admit to being heavily influenced by Legend and neo-soul singers like Angie Stone, Erykah Badu and Corinne Bailey Rae. "I try to bring that R&B, hip hop and soul and mix it in with Africa to create an eclectic sound," he says. "I also have a similar sound to Jason Mraz, someone I'd love to collaborate with him." 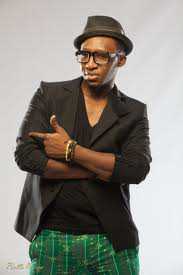 Though he mixes in his native Hausa language, Bez has written the majority of his debut album, Super Sun, in English. "The music I grew up listening to was mostly Western, so I wrote how I felt because most of my thinking was in English," he says. Where you'll see him next: Bez is currently working hard to cement his American presence. You can catch him performing at the Los Angeles Apple Store's Black Music Month celebration on June 30. Click on essence to check out the publication. Bez is going places walahi!